The patron saint of mediocrity is back. Antonio Salieri returns to the National Theatre to do battle with his arch nemesis Wolfgang Amadeus Mozart in Peter Shaffer’s play Amadeus, 37 years after it was first produced there. Despite its rather dubious historical provenance, Peter Hall’s 1979 production, starring the great Paul Scofield as Salieri and a 30-year-old Simon Callow as Mozart, stunned critics and audiences alike with its dazzling theatricality, its narrative conceit and, of course, its dramatic use of Mozart’s sublime music. It was by far the National’s biggest box office hit since opening on the South Bank three years earlier. Shaffer’s masterstroke was to take the clearly documented antipathy between the two composers and deploy artistic licence to suggest that Salieri might have gone so far as to poison the younger man. There is no evidence to this effect. Indeed there is evidence to suggest they were mutually respectful of each other, at least in public. It was a scene he rewrote over and over, finally settling on the ravaged Mozart offering the score of his unfinished Requiem Mass to a sinister, masked patron, who turns out to be Salieri. But why let the truth get in the way of a cracking good yarn? What makes Shaffer’s play a masterpiece is its universality. How often has every one of us encountered a situation in which your own talents or virtues are measured against someone else’s and found wanting? Amadeus is the ultimate expression of that feeling of inadequacy we have all experienced at some time in our lives. 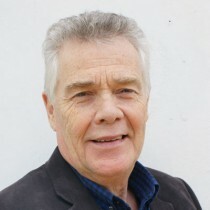 It was also an opportunity to dramatise for the first time the disconnect between Mozart the man – infantile, shrill, vulgar – and Mozart the unsurpassed musical genius. It is not hard to believe that the ultra-refined and courtly Salieri would have found Mozart’s behaviour repugnant. 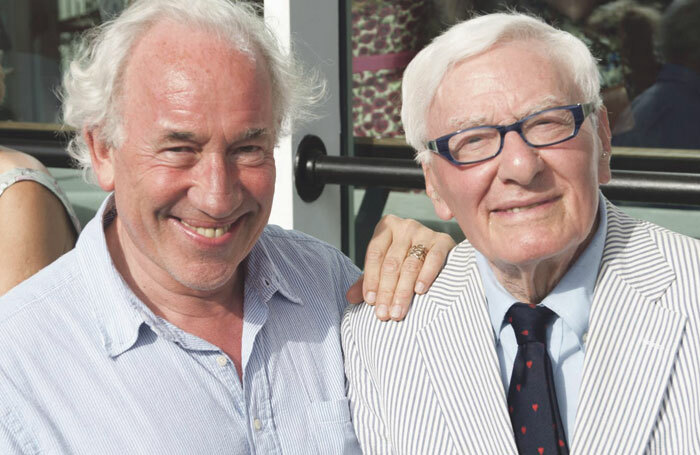 Shaffer’s original choice of director was John Dexter, who had masterminded his two previous successes, The Royal Hunt of the Sun (1964) and Equus (1973), and favoured Christopher Plummer for the role of Salieri. But the sharp-tongued director proved too much for the mild-mannered Shaffer on this occasion, and it fell into the lap of Peter Hall, whose knowledge of Mozart’s work proved useful and opportune. As for acting opposite Scofield, one of the last great titans of the mid-20th-century stage, Callow says he approached the ordeal with “a kind of bliss mingled with dread… acting with him in the rehearsal room was inspiring and paralysing in equal measure. Our relationship was pretty well that of the characters in the play, with the difference that I was playing a genius, while he actually was one. The first preview set the tone for the entire run at the National, and subsequently in the West End, culminating in an ovation “like the roar of the ocean”, in Callow’s words. Despite his triumph as Salieri, Scofield declined an invitation to repeat his performance on Broadway, opting instead to keep to his promise to Peter Hall to play Othello at the National. 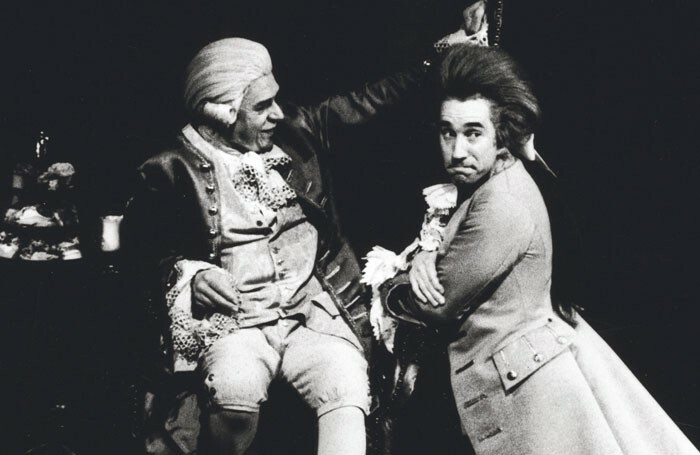 A triumph on Broadway would probably have led to Milos Forman casting him in the film version of Amadeus and the chance of winning a second best actor Oscar. In the event, Ian McKellen took the coveted role on Broadway, winning a Tony award in 1981. Tim Curry played Mozart, with Jane Seymour as his wife, Constanze. The 1985 film went on to win eight Oscars, including best screenplay for Shaffer, best picture, and best actor for F Murray Abraham as Salieri.